clean lines. - j'adore couture. 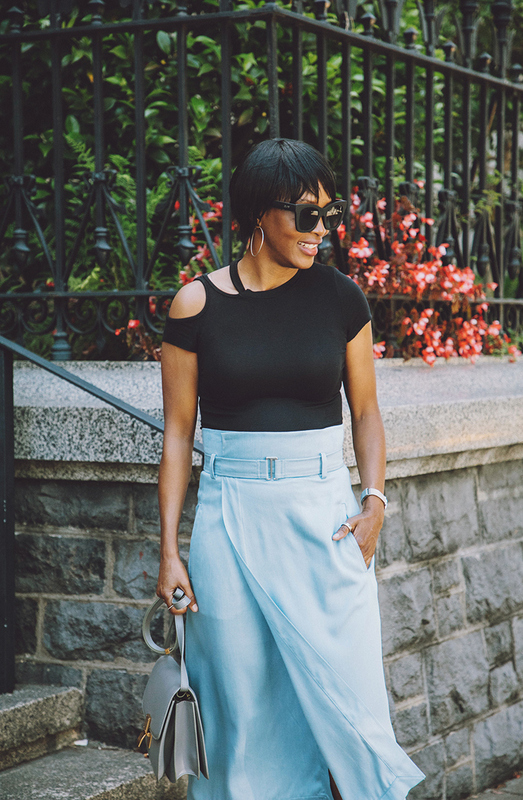 you guys know how much i love tibi (as seen here, here, and here); it would definitely be a brand i would wear forever if i could (that and proenza schouler). 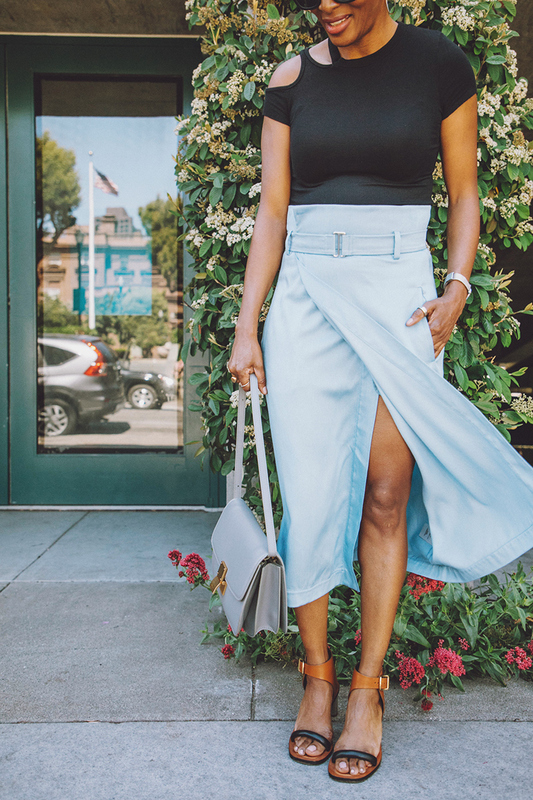 so a few weeks ago when i was shopping at nordstrom (of course for something else…insert eye roll), i came across this tibi chambray wrap skirt and instantly thought ‘ok this is really cool.’ since i was shopping for something else, i tried to stay focused, but i couldn’t stop thinking about the skirt. so i went back and tried it on and…here it is! i’m not what you would consider an impulse shopper; i usually have a list in my head when i head to stores but sometimes things just grab you. as i was sizing myself up in the fitting room, i already considered a bunch of things i could pair it with—which is an immediate cue to me that i’ll get my cost per wear out of it. and i already have, like this free people top from last summer (it’s close fitting, almost like a bodysuit), and these classic céline sandals and bag. we’re almost to friday and i’m so excited to be heading to new york for the weekend! follow along on instagram to see what i’m up to…have a good weekend!